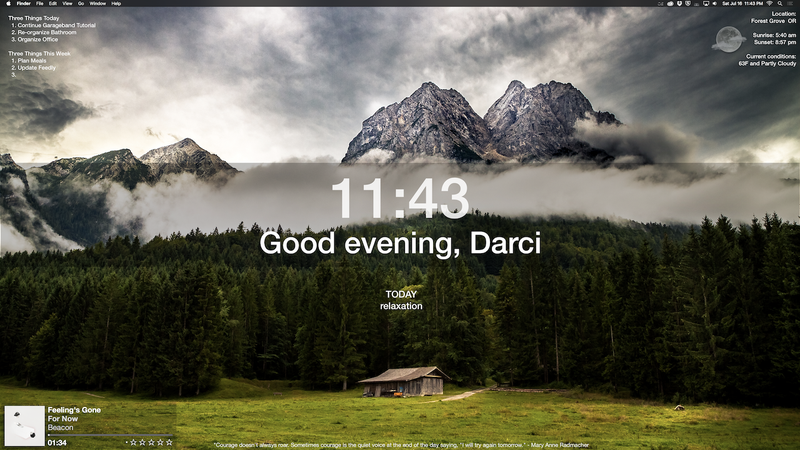 Reader geeklibrarian’s desktop is inspired by Momentum, one of our favorite Chrome extensions, and it looks beautiful. Peaceful and calming, but informative at the same time. Here’s how to get the same look. First, you’ll need Geektool, a system monitoring and customization engine for Mac. If you’re not familiar with it, here’s our getting started guide, which should help you with the basics. That should do it! Once you have all of the elements in place, you’ll have a desktop that fooled us into thinking it was Rainmeter on Windows at first, only to be pleasantly surprised that it’s actually GeekTool and macOS instead. It looks great, and it’s functional too.